Warner Bros. Pictures has just released the new poster for their upcoming horror tale “The Nun,” the latest entry in “The Conjuring” series. When a young nun at a cloistered abbey in Romania takes her own life, a priest (Demian Bichir) with a haunted past and a novitiate (Taissa Farmiga) on the threshold of her final vows are sent by the Vatican to investigate. 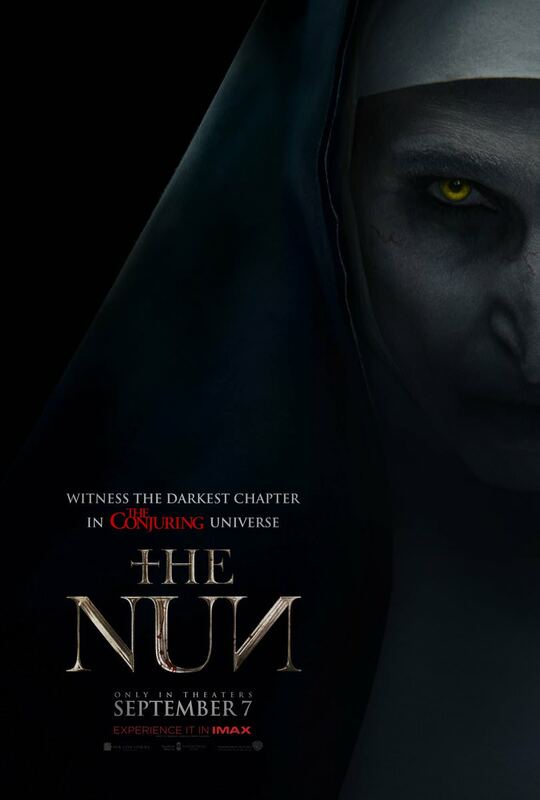 Together they uncover the order’s unholy secret, confronting a malevolent force in the form of the same demonic nun from “The Conjuring 2”. Jonas Bloquet, Charlotte Hope, Ingrid Bisu and Bonnie Aarons co-star in the film directed by Corin Hardy and produced by James Wan and Peter Safran. The film opens September 7th.